THE BEGINNINGS Arnold Schwarzenegger is without any doubt one of the biggest stars Hollywood has ever known. And then we aren't only speaking about size. He's also the proof that everybody with a dream and a lot of perseverance can realize his dreams. 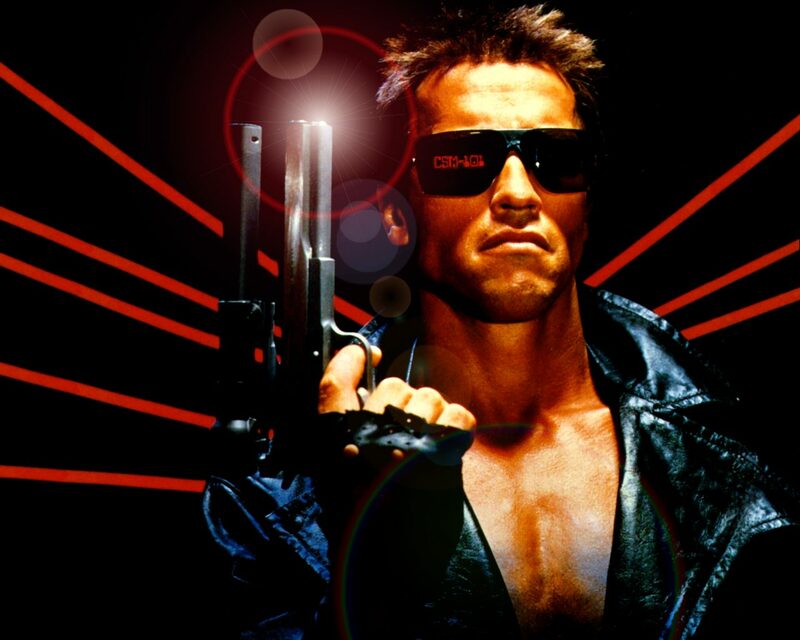 Arnold was born on July 30, 1947 in Thal (4 miles from Graz), Austria. He grew up on the second floor of the 300-year-old home at 145 Thal-Linak with his parents Gustav and Aurelia and his older brother Meinhard. Although the Schwarzenegger household came with Gustav's job as a police commandant, it had absolutely no modern amenities (no plumbing, no central heating, no phone, no carpeting and just a few lights. For many years they didn't even had a refrigerator. Can you imagine? Arnold and Meinhard would have to fetch water from a well 150 yards away from their house). He started his career in Graz, Austria, with only one thing in mind: capturing the Mr. Universe title. The costs to be a member of a gym were too high, so he equipped his own gym in the basement of his parent's home. But in 1961 he met Kurt Marnul, the former Mr. Austria. Marnul was impressed of Arnold's body and asked him to train in the Athletic Union in Graz. And of course he wanted that. 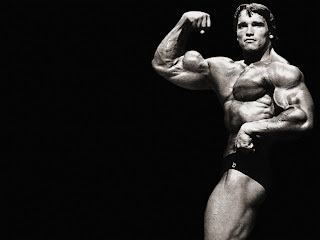 In 1965 he enlisted in the Austrian army (where he served as a thank driver at the Graz Tank Unit Panzer battalion from October 1, 1965 until the end of September 1966), but to compete in Stuttgart, Arnold had to go A.W.O.L and for that he was jailed when he came back. But he won the competition and was awarded the title of Jr. Mr. Europe. By the age of twenty he's named Mr. Europe and he also was the youngest Mr. Universe in history. Later in his career he won many other titles and he decided to try his luck somewhere else. The obtaining of the Mr. Universe title seemed to be a good reason to go to Hollywood. He arrived in America in 1968. After a brief stint as a road worker in Santa Monica, California, he competed with his boyhood idol, Reg Park in 1970 and won the Mr. Universe title again. 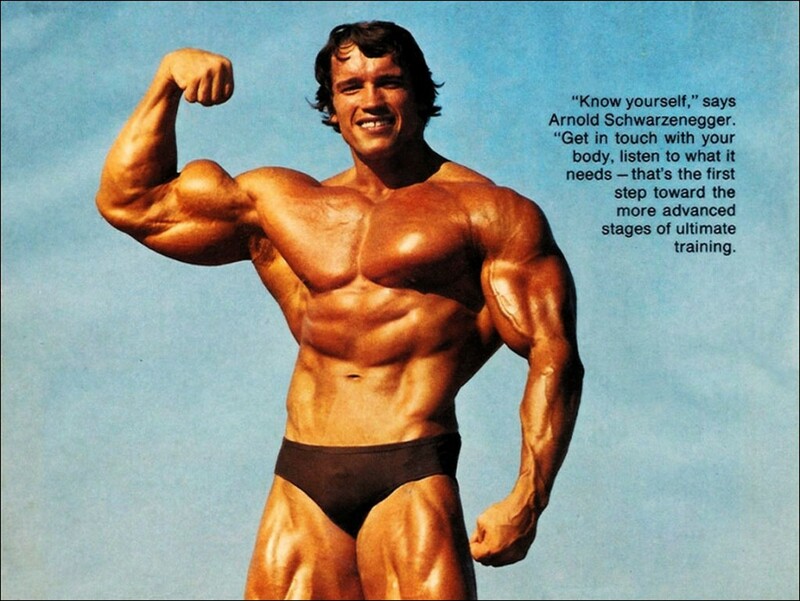 In 1970 he also wins his 1st Mr. Olympia title. But there's more; he also stars in his first movie, Hercules in New York! 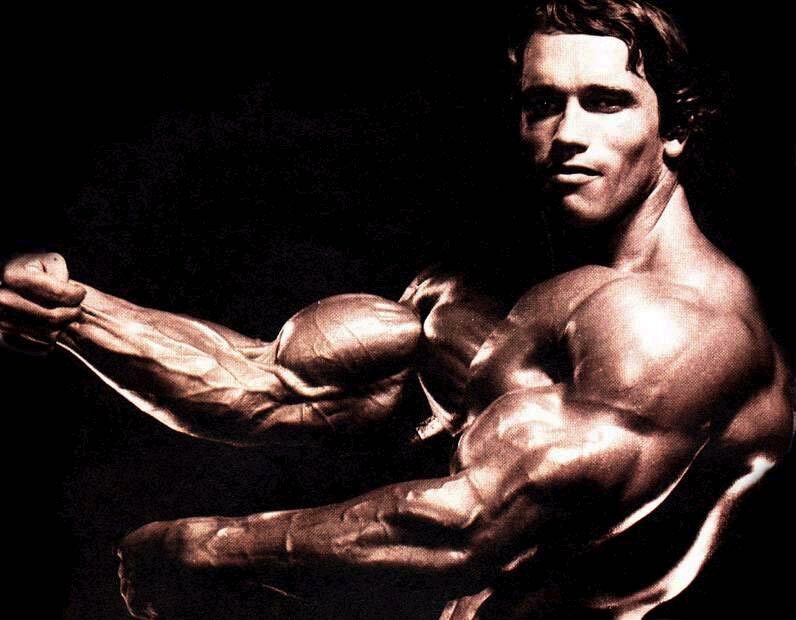 And again in 1971 Arnold wins his 2nd Mr. Olympia title. But 1971 is also the year in which Arnold's older brother Meinhard died in a car accident. 2 years later Arnold's father, Gustav Schwarzenegger also passes away. 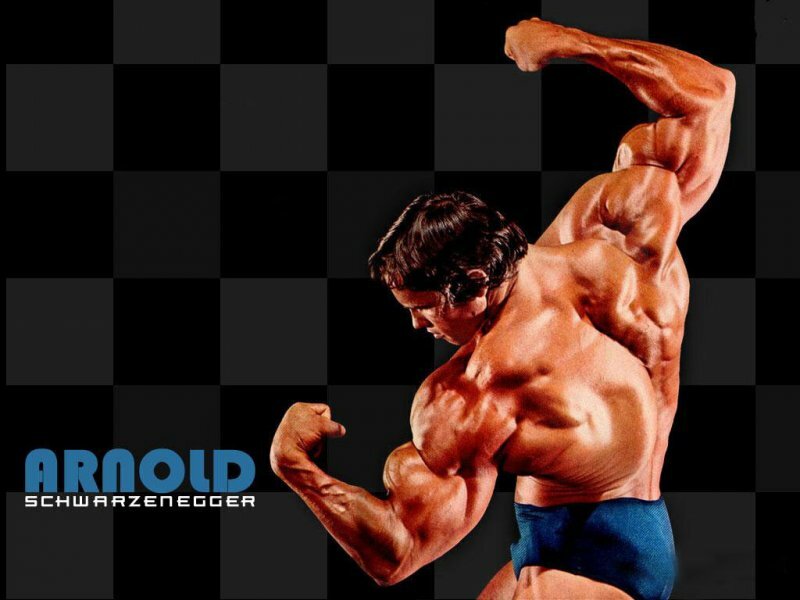 After winning his 6th Mr. Olympia title in 1975, Arnold retired from the sport of bodybuilding. 1977 brought Arnold a lot of success. He writes a bestseller (The Education of a Bodybuilder) and he wins a Golden Globe Award for his role in "Stay Hungry". He also was named "honorary weightlifting coach" for the Special Olympics International (a post that he still holds today). When Arnold visits the annual Robert F. Kennedy Tennis Tournament in Forest Hills, New York on August 28, he meets Maria Owings Shriver. The two started dating and soon fell in love. In November 1979, Arnold graduates from the University of Wisconsin Superior. He gets the Bachelor of Arts Degree with an individualized major in international marketing of fitness and business administration. Arnold comes out of retirement in 1980 to win his 7thMr. Olympia title. Three years later, on September 9, 1983 Arnold becomes an American citizen. 1985 is the year in which Arnold is voted NATO international star of the year. Arnold also proposes to Maria, and one year later, in 1986, Arnold and Maria get married. Arnold receives the 1847th star on Hollywood's Walk of Fame on June 2, 1987. As further tribute to Arnold's cinematic success he was then awarded male star of the year by the National Association of Theater Owners (NATO). Success followed the Oak as he deftly moved from the silver screen into the restaurant business. In 1989 the first Planet Hollywood opens with Arnold, Sylvester Stallone, Bruce Willis and Demi Moore as major shareholders. 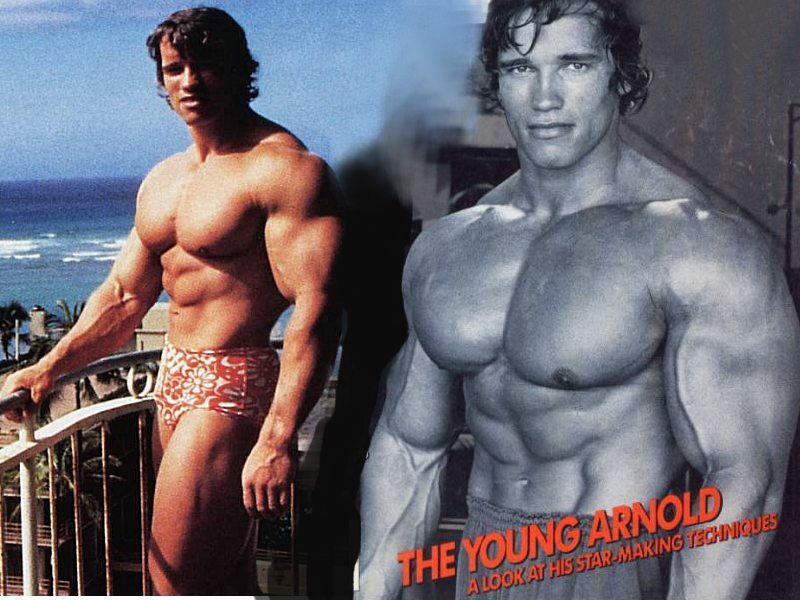 But 1989 has more highlights in Arnold's life: The Arnold Classic is born, just like Arnold and Maria's first child, Katherine Eunice Schwarzenegger (December 13, 1989). Who better to assume the role of chairman of the President's Council on Physical Fitness than a bodybuilding icon? Arnold took the role in January 1990. 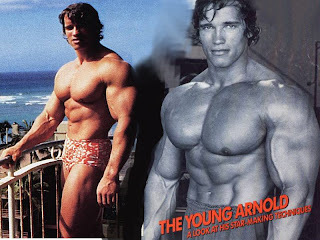 That year Arnold also becomes chairman of the Inner-City Games and makes his directing debut in "Tales from the Crypt". In 1991 Arnold, who is a "pioneer" of the Simon Wiesenthal Center, received the Center's National Leadership Award for his support of the organization's holocaust studies. Arnold has given - and continues to give - huge financial support to this charity each year. 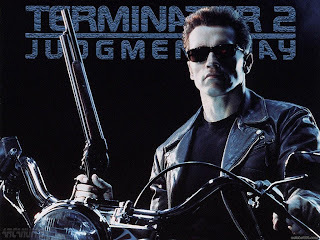 June 16, 1991 is the birthday of Christina Maria Aurelia Schwarzenegger, Arnold and Maria's 2nd child. 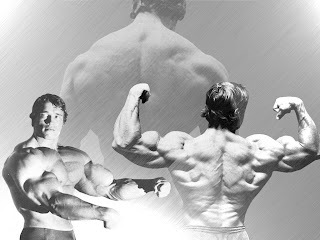 In 1991 Arnold finishes his 50-state tour for President's Council on Physical Fitness (The Oak mission had three objectives: to improve fitness of American children by returning a regimen of daily physical activity to the school, to increase parental involvement in their children's fitness and to promote community-based fitness programs), is in the director's chair again (now for "Christmas in Connecticut") and he and Maria founded Schatzi on Main. Schatzi (German for "Little Treasure") is a beautiful 3000-square foot restaurant in downtown Santa Monica, California. 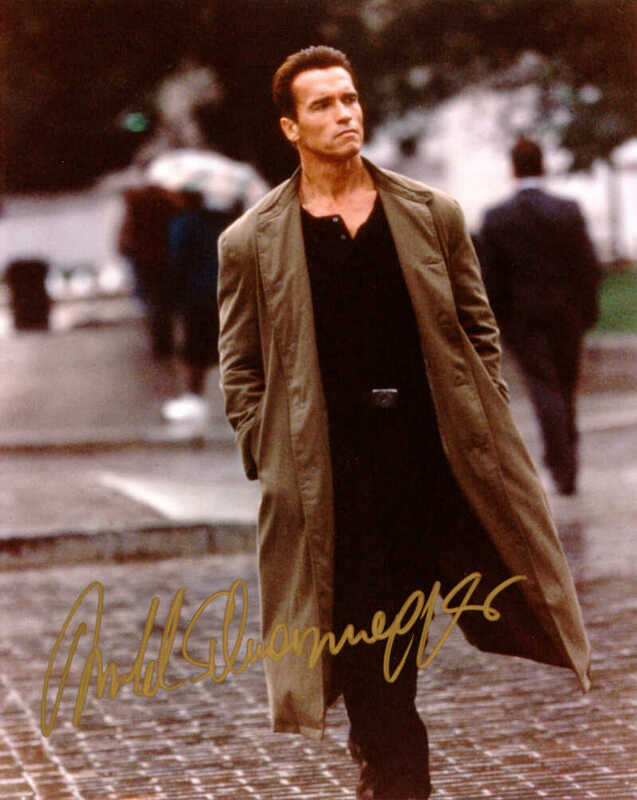 1993: this is the year in which Arnold is named "International Box Office Star Of The Decade", accepts the Chairmanship of California Governor's Council on Physical Fitness. Arnold and Maria's third child, Patrick Arnold Schwarzenegger, is also born in 1993 (September 18). One year later the Oak's hands, feet and signature are immortalized at Mann's Chinese Theatre.